Description: Monkey chandelier 3 light. 12" arm. 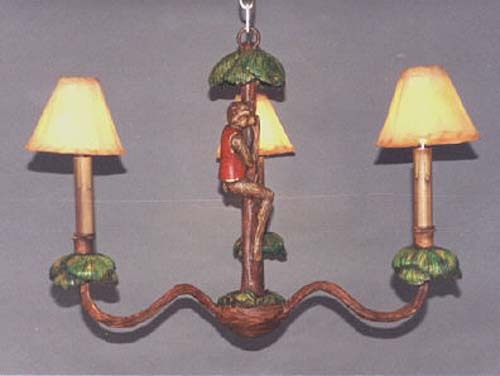 The monkey is 11" h. Matching sconce available.There is a monkey without vest available. Can be made 18"dia (9"arm) or 15"h. Shades extra each. Resin & steel.